When Chris was a teenager, he was already dreaming of the good life - island life to be exact. He got his feet wet at a very early age and became a champion rower by the time he was a teenager. Afterwards, he happily pursued a successful career as an educator, professional rowing coach and rowing club manager in his home country of South Africa. Until one day, not too long ago, his boat washed ashore on the beautiful canals of Amsterdam, the Netherlands. In fact, it was at that exact moment when Chris met Kristie, too. They had a lot in common - they were both working for an NGO, had both been educators and both shared the same fun-loving disposition. After getting her History degree, Kristie's free spirit led her on a decade-long teaching voyage of her own, from the USA to Europe, to Asia and back to Europe again. But it was in Holland that she decided to change course and pursue a Visual Arts Degree and a Masters in Educational Technology. 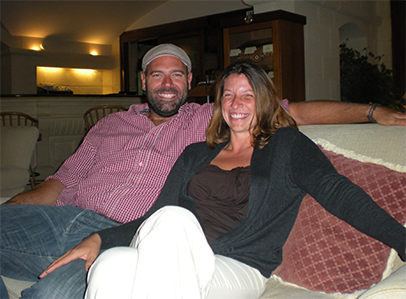 One rainy day, Chris and Kristie decided to set off together and follow their dreams to sunny Gozo. 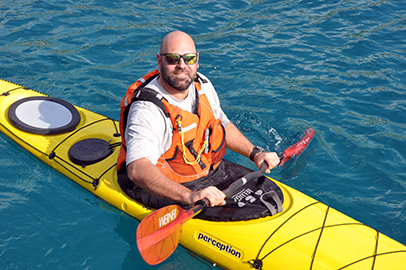 Chris became an avid kayaker, soon obtaining his BCU 3 and 4 Star qualifications as well as achieving his Level 1&2 Coaching awards. Kristie began designing online educational resources and games. And two years and two puppies later, they decided to combine their interests into a new venture, Kayak Gozo. This is certainly no ordinary kayak company. 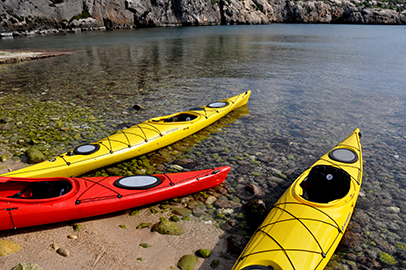 Kayak Gozo reflects both the character of its owners and the spirit of this amazing historical island. Quality and integrity really matter to us. Not only do we gear every detail toward you, our fellow kayakers, but we also give back to the local community that is helping us make our dream possible.